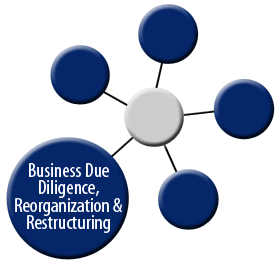 Business restructuring is a significant modification made to the debt, operations or structure of a company. This is usually made when there are significant problems in a company, which are causing some form of financial harm and putting the overall business in jeopardy. Through restructuring a company can eliminate financial harm and improve the business. We analyze the financial under-performance and/or bankruptcy. Also, advise client (debtors, creditors and other stake holders) in restructuring cases, and in and out of court proceedings and insolvencies. We can help the client in evaluating the opportunities and address challenges, create an effective restructuring plan and strategic goals, whether the client is buying or selling a distressed asset.